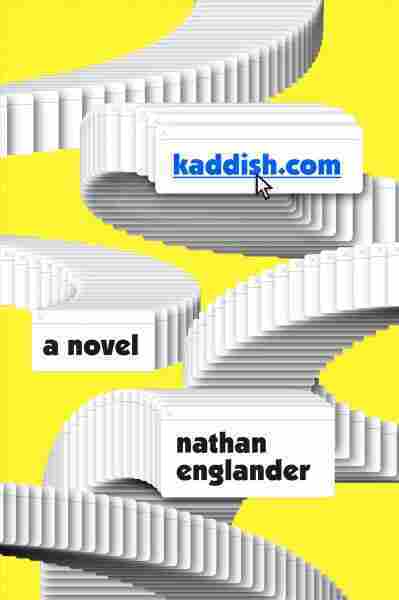 Interview: Nathan Englander, Author Of 'Kaddish.com' Nathan Englander's new novel is a satire on doubt and devotion, and it starts with a death — the death of an observant Orthodox Jew whose secular son is struggling with his religious obligations. Author Nathan Englander was raised in an observant Jewish family and now considers himself secular. His stories and novels are full of the kinds of details about Judaism that you can only capture if you've known a community from the inside. His latest book is called kaddish.com, and it's a satire about what separates the doubters from the devout. The Mourner's Kaddish is the Jewish prayer for the dead, and this new book begins with a death — a religious father, whose only son is secular and uninterested in fulfilling religious obligations. "This idea when a religious Jew passes on, the real expectation is that their relatives on this Earth will say this prayer — and that means eight times a day it gets said at three different minyanim, at three different group prayers — and it is a huge weight," Englander says. "And in my family, for my father, for people who are religious, it is a gigantically important thing, if you know that you are dying, to know that someone will be praying for you." You know, I talk to my friends, I always say I'm so not religious, I'm an atheist, I'm this, I'm radically secular — I say "radically secular" all the time — but I'm also such a deeply religious person, which everybody teases me for. You know what I'm saying? And it'll be weird how it manifests ... just in the most bizarrely specific and hyper-Jewish ways. So I will literally be like, eating a cheeseburger on Yom Kippur and that won't bother me a bit, but I'll be afraid that I haven't tithed on a harvest year, and my wife will be like, "What is wrong with you?" ... I grew up religious and I left, and I guess I often think of the way we support people — you know, even if you're not religious, if someone's struggling with their faith, you'll be like, "I don't know, stick with it?" But we don't help people stay secular ... And I think this teasing, everyone making fun of my secret religious soul that seems secret to me and is obvious to everybody else, I think that was like a core moment in this book: What if somebody switched back? If a story is functioning, it is universal. Like, that's it. If this can only be read by Jews, it's an utter failure ... that's how I feel about story. That's the beauty of reading, that's why it's subversive, because it just crosses time and space and culture. So really, you read science fiction, read it like, I don't know, dystopian kosher. I don't know what to tell you ... just take a leap with me. It's a story, the instructions on how to read it are in there. We have built beta God. If you have a phone and live in a city, or Google anything, it really does know everything you've done, what you're doing, what you're doing next. So I was like, the question "could God exist in an all-knowing way?" We've sort of already got that, because my Instagram feed is downright scary at this point. It knows what I'm hungry for. I've been thinking about this for a million years ... we see it on the news, we hear it all the time now. You want to make a genocide, we all know the ingredients — from the Holocaust to Rwanda — you start making people less than human, you compare them to animals, to cockroaches, it always starts the same. We dehumanize the other, and then we can kill them. And to me, what literature does, is if you can enter into the world, if you can connect with a character, like, what else does does that do but make connection? The people who would challenge Philip's work — probably more people around the world let a Jew into their home in his novels and saw them as human. And I think if you are being honest, and painting people as human and drawing a world — and I do think there is a responsibility to what we say, an ethical responsibility, and I think if you're writing from the heart, that's all you can do, and I really, I think if anything, you're creating empathy if you've created a person others can connect with. This story was edited for air by Marc Rivers and Jolie Myers, and adapted for the Web by Petra Mayer.